Rancho Cucamonga volleyball standout Maegan Casillas has made a verbal commitment to UC Riverside. The 6-foot middle blocker was also considering Cal Baptist, La Sierra and San Diego Christian. She preferred to stay in the area but was also familiar with the school. 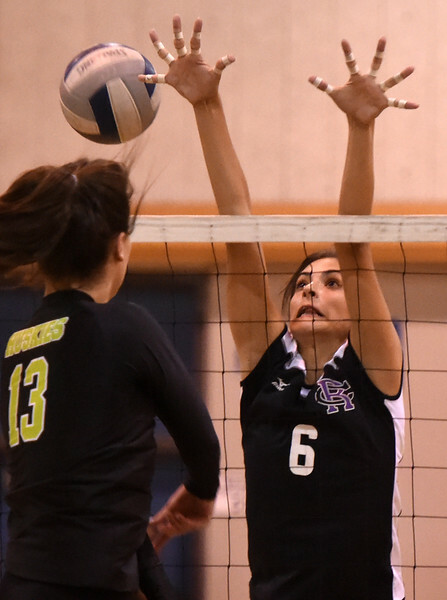 Casillas, a three-year varsity player for the Cougars, managed 43 blocks in helping her team to a second-place finish in the Baseline League. The Highlanders went 2-26 last year in the transition to a new coaching staff. Casillas is hoping to get playing time right away. She plans to major in biology. This entry was posted in Maegan Casillas, Rancho Cucamonga volleyball by Michelle Gardner. Bookmark the permalink.